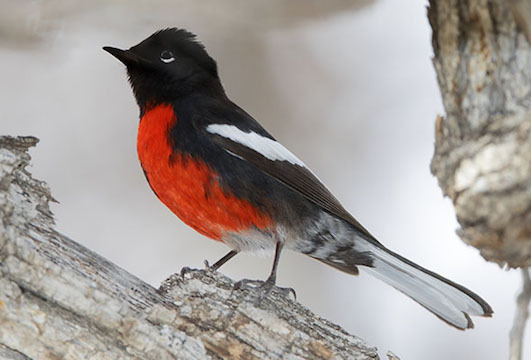 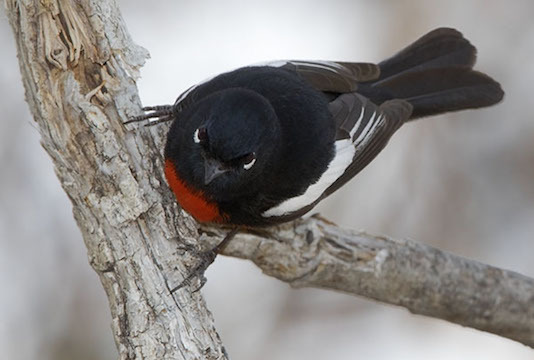 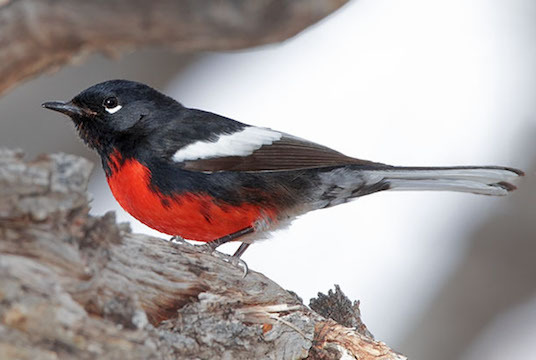 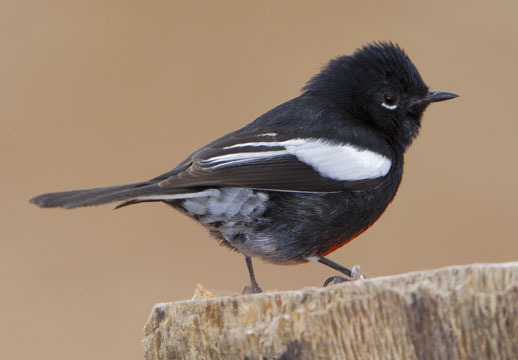 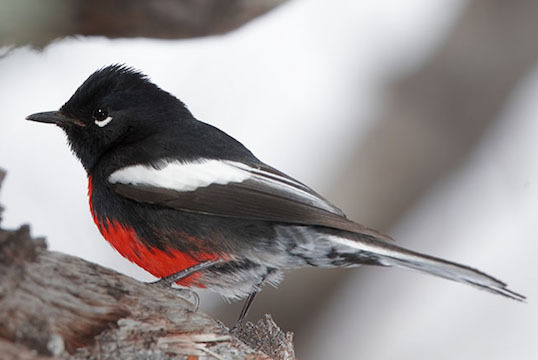 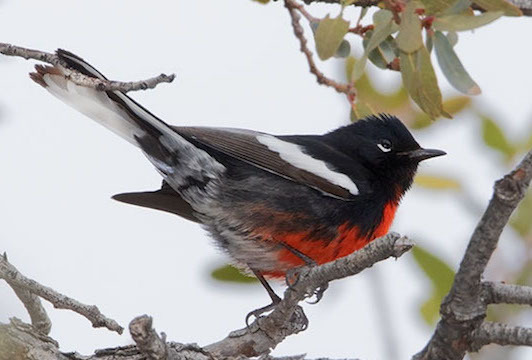 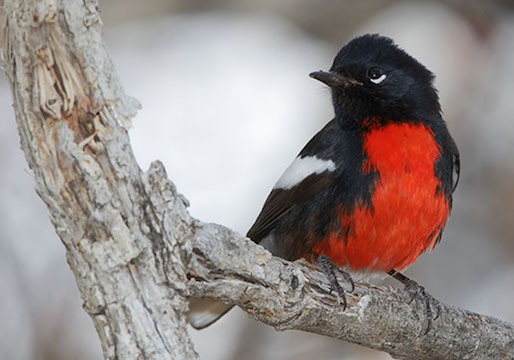 Painted redstarts are striking little birds found in mountain forests in southeastern Arizona, southwest New Mexico, Mexico, and Central America. 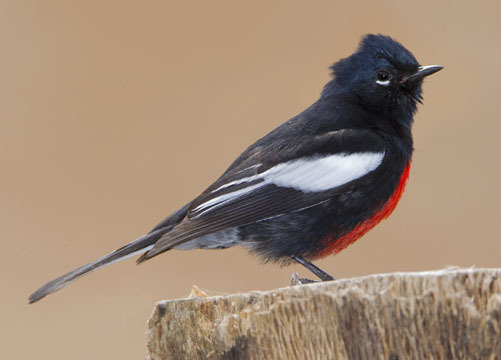 Unlike the many warblers, adult males and females are identical, which makes identification easy. 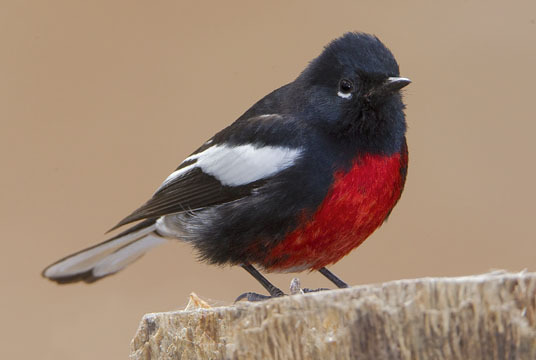 They are very active, flitting about like butterflies with the white wing and tail markings highly visible (even more so than the dramatic red belly). 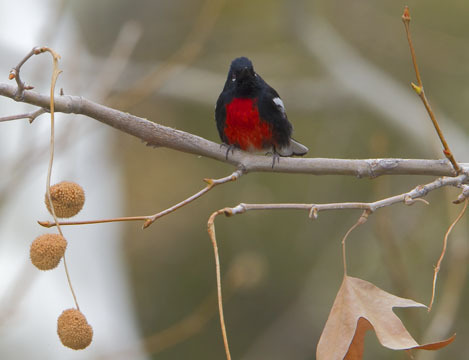 These birds were wintering in Madera Canyon and nearby Florida Canyon, southeast of Tucson, Arizona.